Seats get full really fast, kindly book your seats prior to avoid last minute rush! 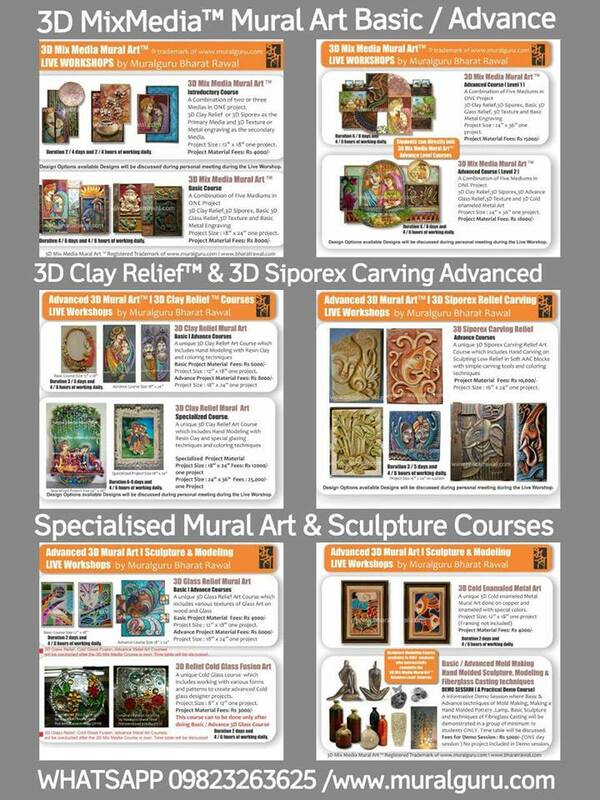 Fee – Rs 1,800/- including all materials. 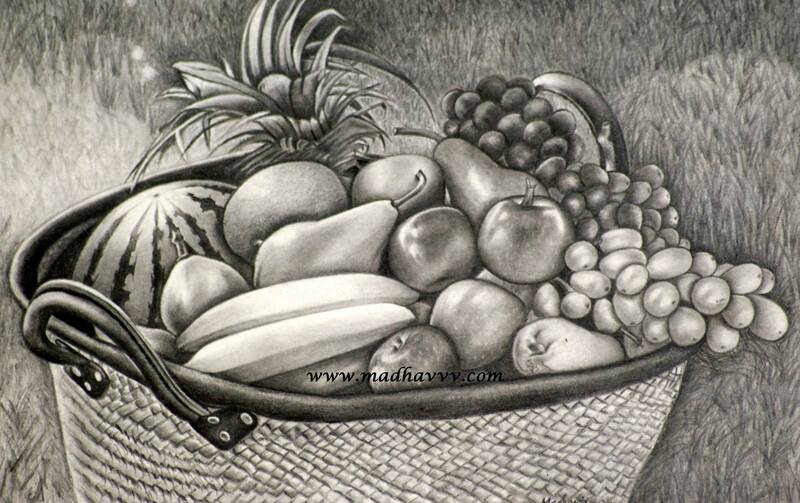 Shading & blending the objects with proper light &amp; dark tones which helps you understand the properties of light on various textures, objects etc. Drawing the objects by measuring the sizes using pencil. Observation of light effects, shading & blending accordingly &amp; instilling some life into the work. 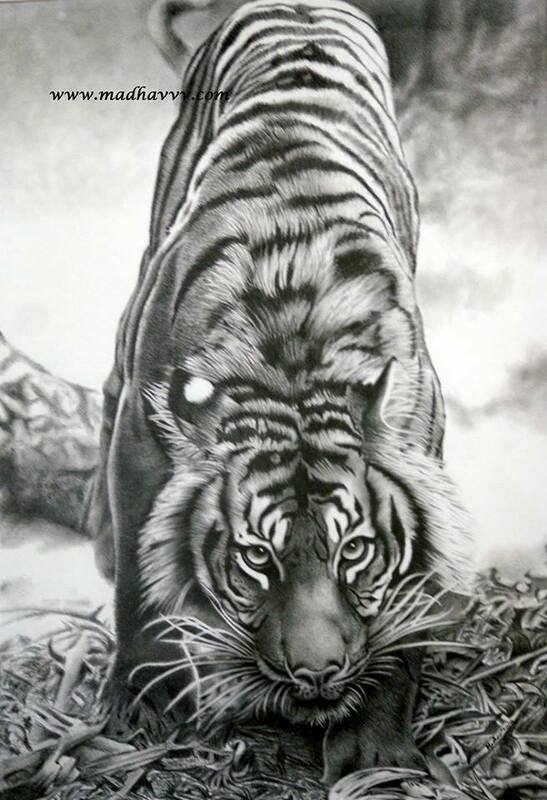 How to draw impressive &amp; realistic portraits? 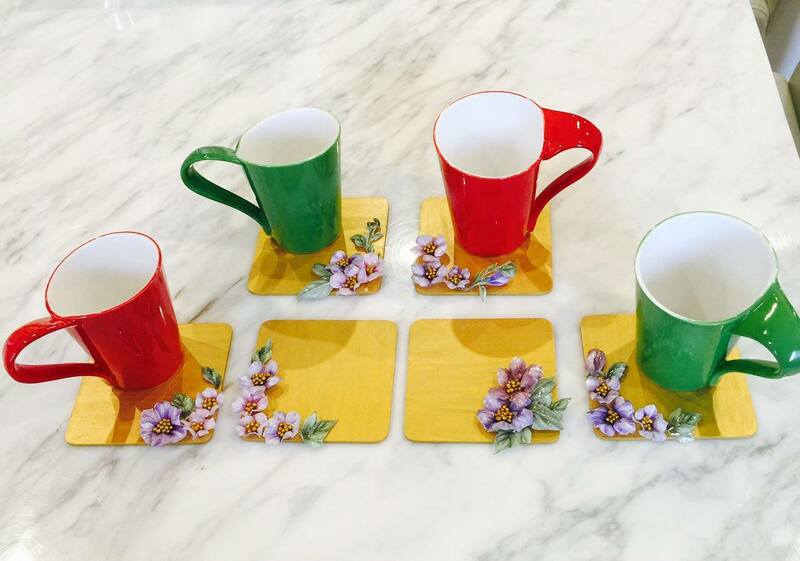 How to create beautiful Still Life works? 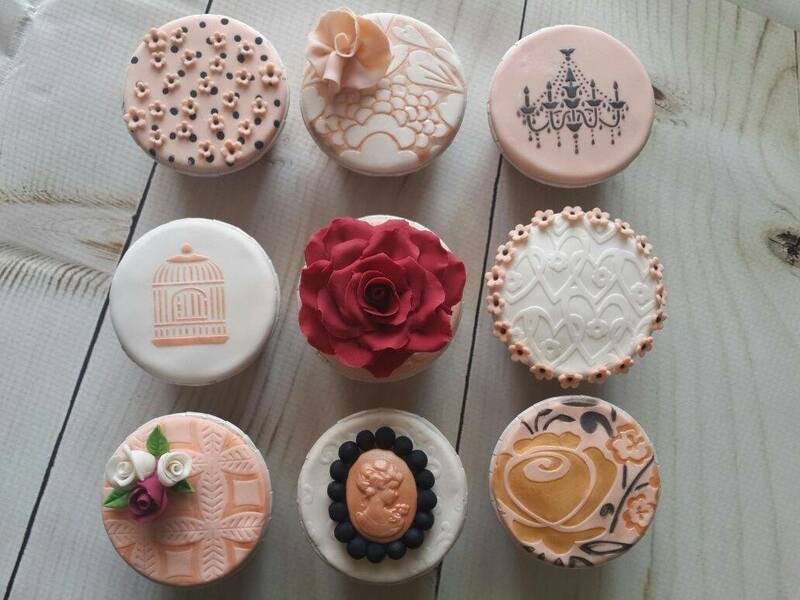 Patisserie passion is conducting a workshop on Fondant Cupcake Decoration. 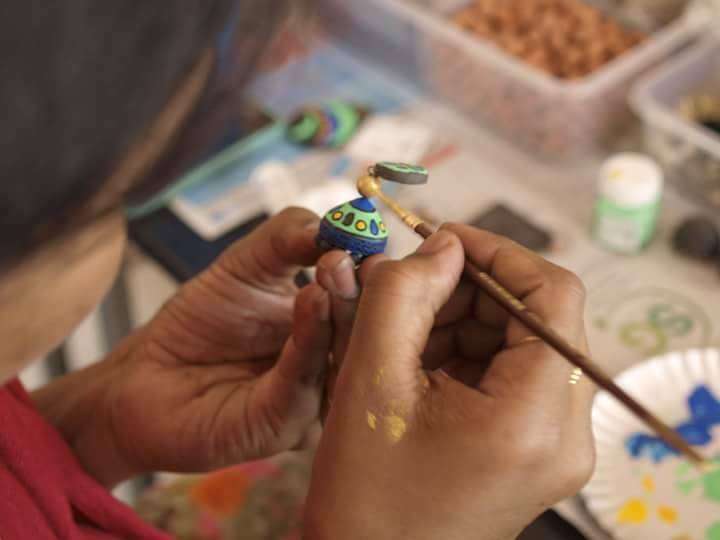 Take home 8 self decorated cupcakes along with a recipe booklet (cupcake, fondant and butter cream recipe) An interactive session where you will bake and decorate your own cupcakes with Fondant and learn the process of Fondant making. 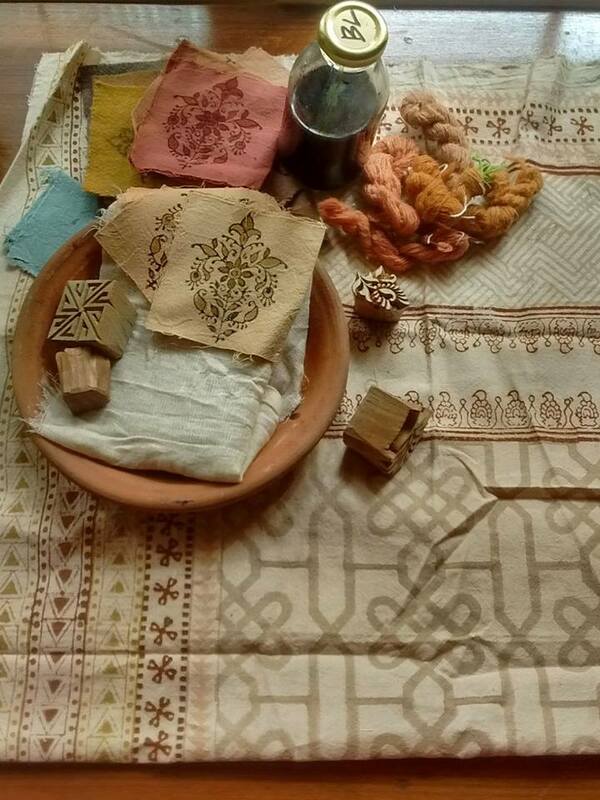 Kavya will introduce you to organic and natural dyes and teach you al the basics you need to know about Shibori. 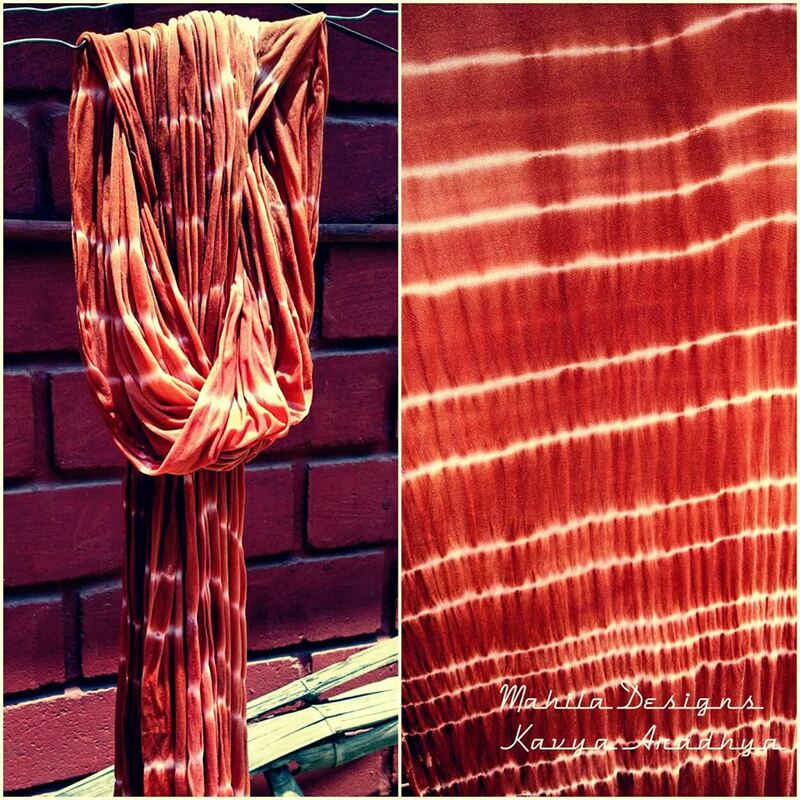 Shibori is a Japanese term for methods of dyeing cloth by binding, stitching, folding, twisting, and compressing. Learn all the techniques of Shibori – Kumo, Nui, Arashi, Itijame and take home samples of each. 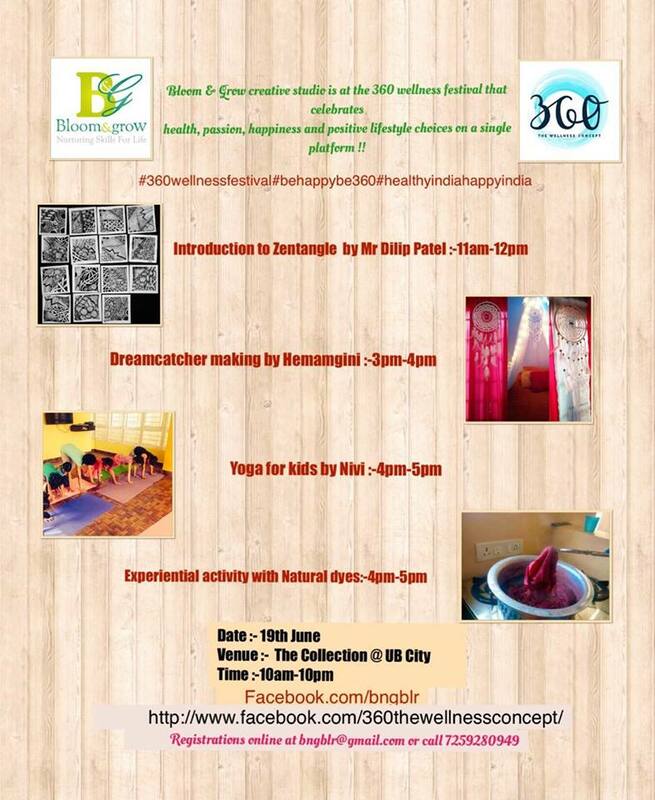 B&G is at the 360 wellness festival and has developed customised experiential activities for you to have a hands-on experience of the activity within a span of an hour. Ah! If you don’t feel like a school kid already with your best handwriting on that chalkboard, we’ll get that feeling refreshed for you. Learn to use chalkboard paint and make your own board. 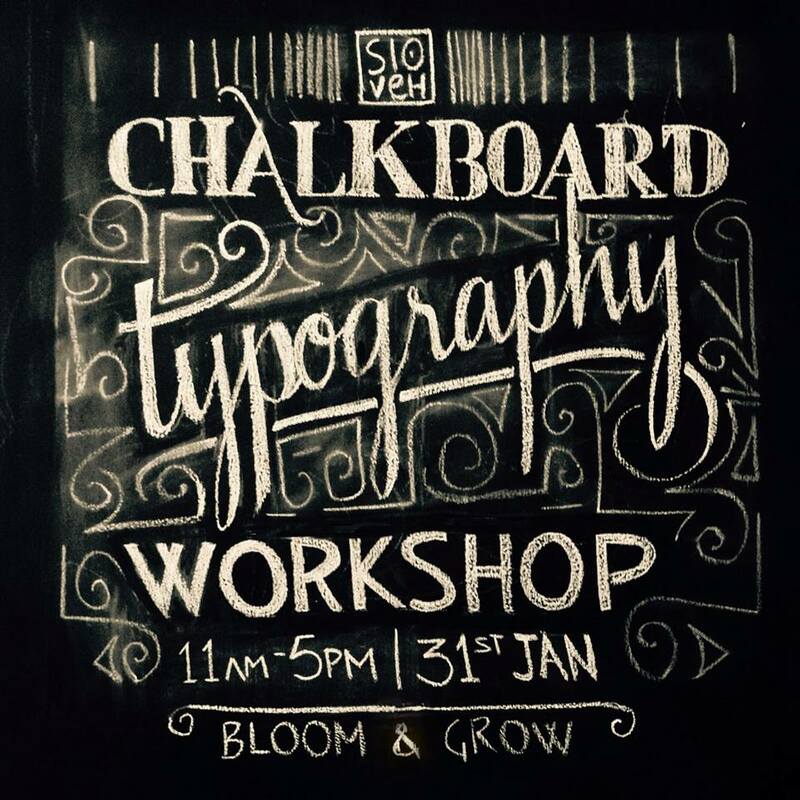 To register, please pay through events high: https://www.eventshigh.com/detail/Bangalore/4e809648c45d807c8d3277f521d93648-chalkboard-typography-workshopCome in and relax. You’d be thrilled with all the creative vibes it leaves you with.